BOSS Woman is a tribute to the successful, self-assured BOSS woman, evoking the perfect blend of strength and self-confidence with femininity and style to create a rich, contemporary fragrance for the modern woman. 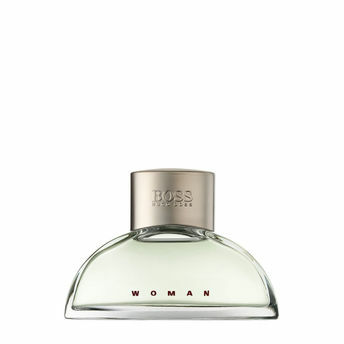 BOSS Woman Eau de Parfum is an elevated yet sensual scent that leaves an elegant lasting impression. A rich fruity-floral fragrance that embodies the independent spirit of a woman. It is fresh yet sensual and leaves an elegant lasting impression. Explore the entire range of Perfumes (EDT & EDP) available on Nykaa. Shop more Hugo Boss products here.You can browse through the complete world of Hugo Boss Perfumes (EDT & EDP) .Alternatively, you can also find many more products from the HUGO Woman Eau De Parfum range.